The Government Architect is supported by a small but dedicated team in the Office of the Government Architect (OGA). Geoff Warn was appointed as Western Australia’s Government Architect in November 2013. He is a highly respected practitioner and director of With Architecture Studio (formerly Donaldson + Warn), an award-winning multidisciplinary design office with a strong reputation for design expertise and with extensive experience in architecture, urban design and master planning. Geoff has amassed 35 years of experience across many aspects of architectural practice including a long-standing commitment to architectural education. 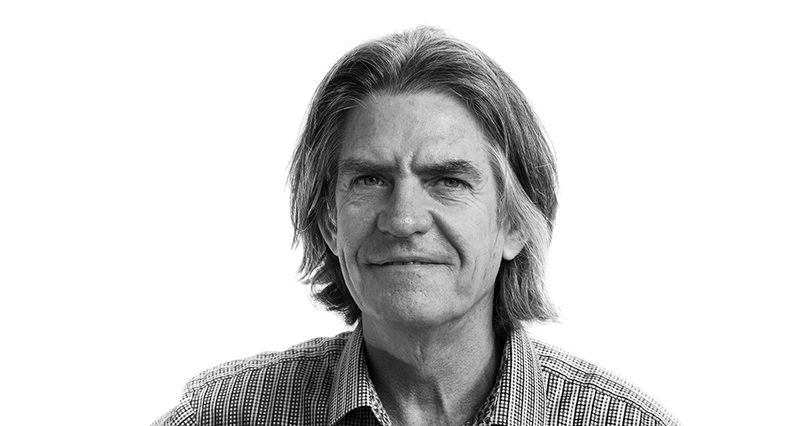 Geoff has taught at both schools of architecture in Perth and has lectured in Melbourne, Sydney, Brisbane, Adelaide, Newcastle, Berkeley (USA), San Francisco, Kuala Lumpur and Berlin. He was an Honorary Research Fellow at the University of Western Australia and Adjunct Professor to the School of Fine Arts at Curtin University. Geoff attended the Domus Academy Winter School Masterclass, and has a Masters of Architecture from RMIT. From 2005 to 2010 Geoff held the position of Professor of Architecture at Curtin University. Throughout his career Geoff has been an enthusiastic promoter and spokesperson for the value of design excellence and creative practice. He has been actively involved on a range of government and institutional advisory review boards and awards panels including the Perth Waterfront Design Review Panel, LandCorp’s Design Review Panels, Northbridge Link Design Review Panel and the 2008 RAIA National Awards Panel. He is also a keen advocate for the value of the arts. As Associate to the Government Architect, Melinda manages the project, policy and advocacy activities of the OGA. In this capacity she has provided strategic design advice on major state projects such as the new Perth Stadium, the WA Museum and Elizabeth Quay development, as well as leading several significant design and planning policy initiatives. Before joining the public service, she had a 10-year architectural practice career and was involved in significant education and civic projects awarded by both AIA and RIBA. Melinda has extensive experience in design review for government. A dedicated advocate for the value of good design, she has served on judging panels for a number of national and international design competitions, has been an Australian Institute of Architects award juror, and has sat on a number of academic boards and institutional design advisory committees. She has expertise in strategic design, governance and procurement in the built environment. In addition to teaching and design jury roles at both UWA and Curtin schools of architecture, she has written on design for industry and wider audiences. The OGA prepares regular quarterly reports to inform government, stakeholders and the public of its activities. These are available for download below.